Adi Shakti by Gurudass. A classic cd with both of these mantras, great for yoga, chanting, meditation, relaxation or just anytime. 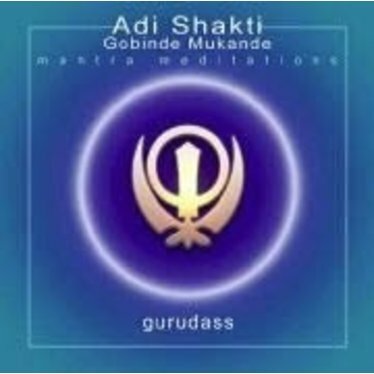 Gurudass Kaur sings with beauty and power in a call and answer style with a group of singers on the 'Adi Shakti' mantra. The second cut on this cd 'Gobinde Mukhande' had Gurudass Singh singing in his pure, rich and beautiful voice along with his wife. Gobinde Mukhande is simple with piano and a wonderful harmony of voices, it is slow and peaceful, relaxing and heartfelt. The Gurudass' have made a classic cd with both of these mantras, great for yoga, chanting, meditation, relaxation or just anytime.